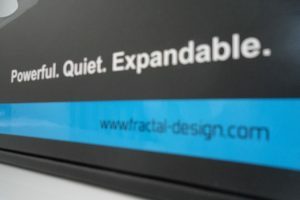 Earlier last week we put Fractal Designs Kelvin S36 AIO Liquid cooler through its paces in various benchmarks and real world usage scenarios. The consensus? 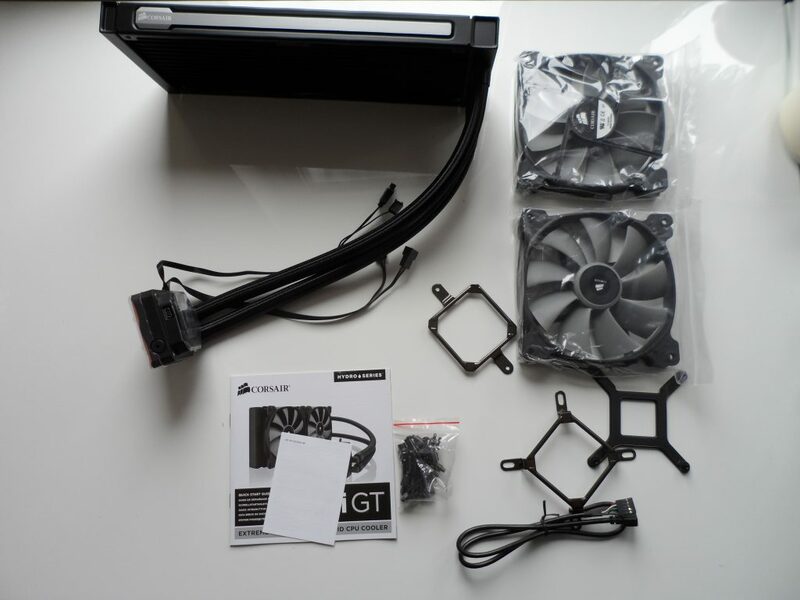 – The Kelvin S36 AIO CPU Cooler is a great piece of kit and well worth the price tag. All of these coolers for what they are and will do a great job at cooling your gaming pc but as with all things it really depends on what you want from your computer. 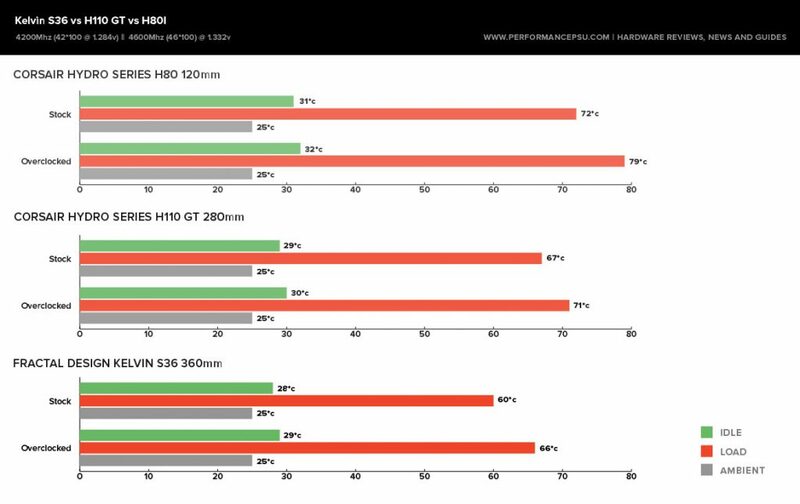 If you want stupidly high overclocks then it comes as no surprise that the H80i is not the best choice although its going to enable you to achieve very mild overclocks, the radiator lacks the surface area to effectively dispel the extra heat. Let’s take a closer look at each unit. The biggest of the 3. The Kelvin S36 cooling unit support all modern CPU sockets and is also the biggest of the 3 coming with a full-copper constructed 360mm radiator, 2400RPM long-life ceramic bearing pump and 3 x 500 – 2000RPM GP-12 PWM fans. What really sets this AIO CPU cooler apart from the others here is simply how quiet it is when under normal usage being near inaudible. What sweetens the deal is the 1/4″ threads allowing you to simply take it apart and throw some non-standard blocks on as well as the all-copper constructed radiator – it’s the only one in our comparison that has one and it shows. The H110 GT is Corsair’s flagship liquid cooler coming equipped with an Aluminum 280mm radiator fitted with two Corsair SP-120 fans in a push configuration, all-copper cold plate and of course, Corsair Link compatibility. It’s well-known in the community that if you really must have an AIO cooler then the H100 GTX or the H110 GT is the way to go. As a result the H110 GT is the reigning champion providing ample cooling performance for the longest gaming session and will deal with mild to extreme overclocks well in short-runs just fine. The baby of the bunch, The Corsair Hydro series H80i comes equipped with an Aluminum 120mm radiator that is slightly thicker than the other two. 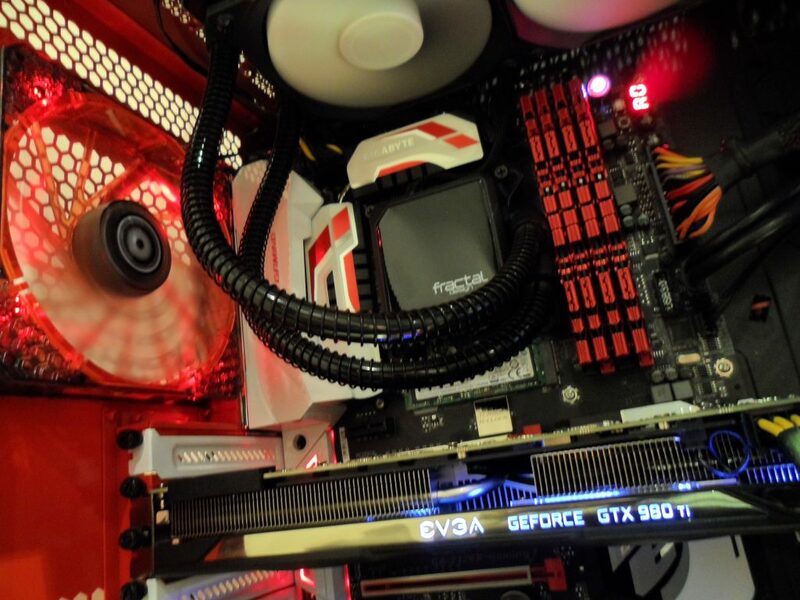 It used to be a great unit for older generations but over the years has started to lag behind in the overclocking department. Let’s take a look at the test bed and performance testing. So I could make sure that all results were accurate, I made sure that the ambient room temperature was stable at 25*c using air conditioning and a thermal sensor attached to my other rig. Upon installation, 3 rounds of Intel XTU was run to get heat into the loop followed by 15 minutes at idle. After 15 minutes at idle, a timed OCCT loop was run for 15 minutes to get things hot at which point load temperatures were recorded. All temps gathered with RealTemp. All of the closed-loop AIO coolers tested produced similar idle temperatures simply because of Speed step which dynamically reduces the processor’s VCORE and multiplier depending on load. The end result? lower power usage under normal conditions. What’s almost instantly clear is the H80i cannot handle the heat output of Intel’s 6700K when overclocked. While 79*c is well within the TJmax for this CPU, safe operating temperatures for most modern Intel processors is 70*c.
The most surprising aspect of this test is how well the Fractal Design Kelvin S360 AIO does against the H110 GT which I believe *was* the king of All in one cpu coolers. Despite the smaller surface area, the H110GT has a higher fin density compared to the Alphacool inspired S36 and also comes with some well-known high static pressure fans, however I didn’t expect there to be a 6*c gap between the two! The Kelvin S36 comes into its own and the extra surface area really shows across the board with temperatures considerably lower than the competition, showing its definitely not slouch despite being Fractal’s first venture into pc liquid cooling – The S36 is perfect for extreme overclocks without breaking the bank. While not the most comprehensive of all-in-one overclocking comparisons, I had one goal in mind – show the potential and thermal performance of each of these coolers. All of these coolers fit a different type of user and really depends on what you want to achieve from your computer. For the overclocking enthusiasts who wants to break away from traditional air-cooling and into the PC liquid-cooling scene without the hassle of a custom water cooling loop then both the Corsair Hydro Series H110 GT and the Fractal Design Kelvin S36 liquid cooler will both do you just fine with the Fractal Design performing the best overall and the most potential for expansion in the future coming with 1/4 threads and compatibility with 99% of fittings on the market. The H80i unfortunately I don’t feel is up to the task of sustaining a mild overclock for very long but that doesn’t mean it not a good cooler. 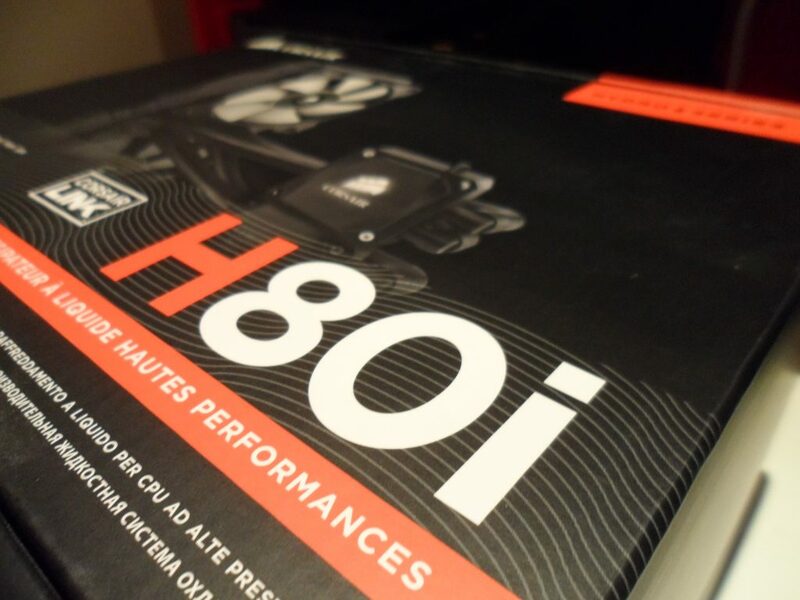 The Corsair Hydro Series is the perfect water cooler for gaming computers or servers that won’t be overclocked but you want to stand out a little, there is no denying the H80i still looks the part. 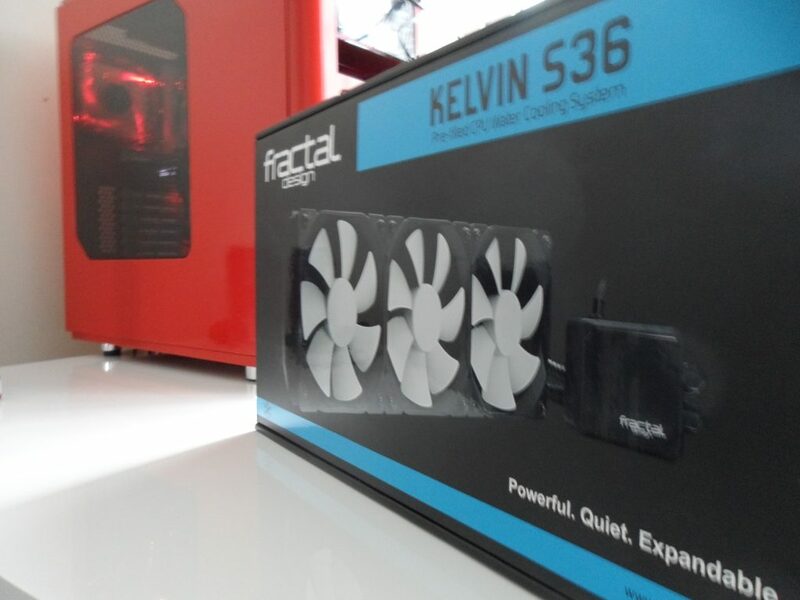 Fractal Design Kelvin S36 – Editors choice and our go to AIO for overclocking and bench marking. I have some constructive criticism about this review. I don’t think that comparing a 360 vs 280 vs 120 is a good justice for each of these coolers. The reason I say this if there is so many variable in all three coolers that it just doesn’t make sense to compare them to each other. I am not trying to be a douche or anything. I just thought I would give you feedback to improve on your reviews. 🙂 keep up the good work! Never used an AIO cooler. Always go for the best Air Cooler available. However, looking forward to reading the reviews and checking out the benching on the forthcoming “ekwb PREDATOR 240 & 360 AIO”… They should be the best of the best once released ! I did try to obtain a sample from EKWB but they didn’t seem to need any more promotion. Such a shame, it would of been a great showdown. Its widely known 70*c is the theoretical maximum 24/7 operating temperatures of most modern Intel Chips, yes you can run them hotter but then degradation sets in. “It’s widely known” is not a source. Nonsense. Andy, can you talk a bit about the “sound” the Fractal Kelvin’s pump makes? 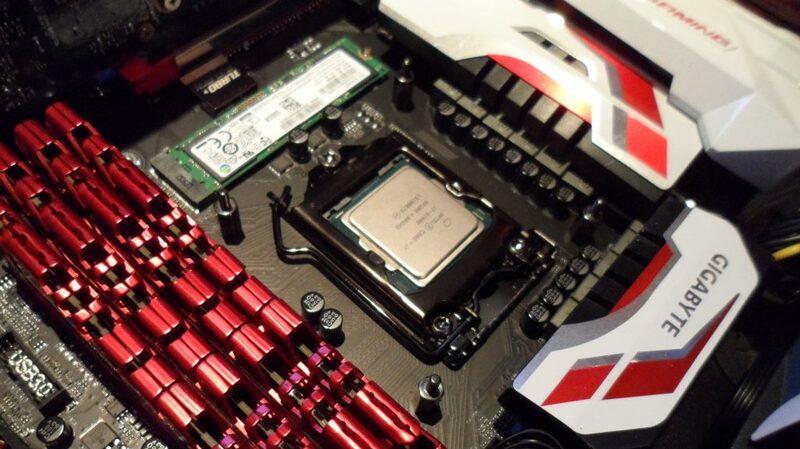 I just built my first AIO system (Asus Maxiumus Hero VIII / i7 6700) and the pump makes a continuous low grinding noise. I have also used the 12v to 9v adapter for the pump and although it is quieter, it still has a low grinding noise. 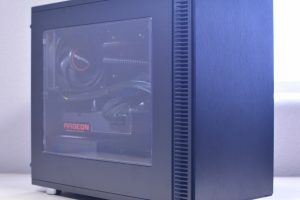 I’ve put in a support request to Fractal, but would be interested in hearing your thoughts on the Fractal’s pump noise, especially considering that your review was one of the main reasons I choose Fractal over the Corsair. FWIW, the Kelvin is doing the job, re: pre-Kelvin OC’d at 4.6GHz under 100% stress for 15 minutes using a be quiet! Dark Rock Pro 3 pushed 100 deg continuously; post-Kelvin, same test pushed 75-80 deg. First off, sorry for the slow reply! A low grinding noise is not something we experienced when we had the cooler, even at full whack! If you have not got it sorted yet I would advise you get it checked out!